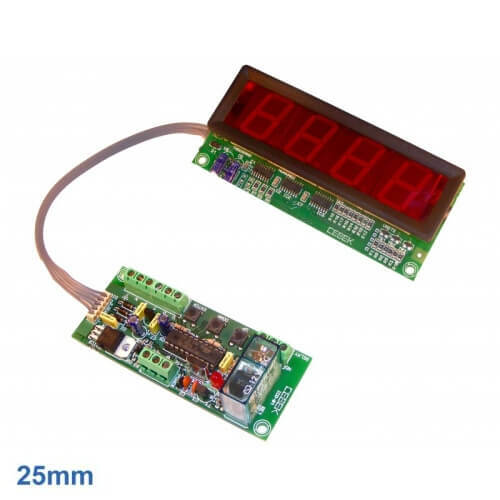 The Cebek CD-8 module is a 4-digit UP / DOWN counter with Preset function, relay output and a 20mm LED display. Preset allows you to set a number in count UP mode. Once this number is reach the relay activates and the count stops (ideal for process control automation). The counter starts at zero and increases by one digit (up to a maximum of 9999) each time a count impulse is received. It can also count down, subtracting from the count.